Batemans Bay Accountants client case studies. Looking after businesses. Batemans Bay Accountants client case studies. Taking an active interest in your business. "Graeme Garland was a godsend," says Edwin Donela, an owner of a small family web design company 8WEB, based in Callala Beach NSW. "We got in trouble with not keeping clear accounting books, and really late with BAS statements. Our business was very small, and we let our paperwork responsibilities slide. We kept our receipts in one big box, and knew that one day ATO will ask to explain it all." "And so one day we got a letter from ATO asking us to get our paperwork up to date. Given just 2 weeks to lodge several years worth of outstanding BAS quarters, we needed urgent help from a good accountant that could lead us and help us in this matter." "We have heard of Graeme's sterling reputation a few times before, so we bravely called to arrange for HELP!" "Graeme was very kind to take our case, and instrumental in teaching us how to use XERO accounts. It was very hectic, but we credit Graeme with our positive outcome with ATO, as he lodged our paperwork on time, and got us friendly repayment terms for our ATO debt." 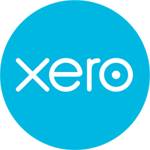 "One year down the track, with the debts repaid, and all our BAS obligations taken care of, we are very happy to continue using XERO accounts, and have Graeme guide our business." "I cannot speak highly enough of Graeme. He was recommended to me by Lawyer and now magistrate Roger Clisdell back in 2001 and we have had an excellent business relationship. Like a fatherly figure he takes a genuine interest in your accounts, provides timely and professional advice for our business and superannuation."